UNITED NATIONS, March 28. /TASS/. The United Nations Security Council has unanimously adopted a French-drafted resolution aimed at combating the financing of terrorism. 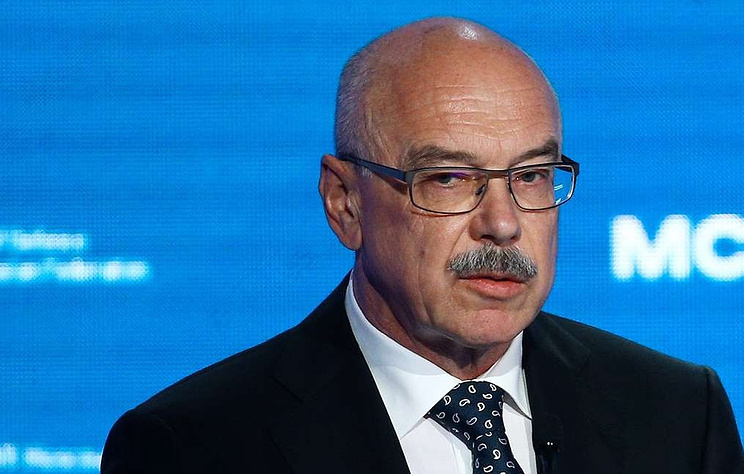 "The resolution passed today once again highlights France’s key role in boosting international cooperation in the fight against the financing of terrorism," Under Secretary General of the United Nations Office of Counter-Terrorism (UNOCT) Vladimir Voronkov said, addressing the Council. "The Security Council adopted several resolutions aimed at combating the financing of terrorism before but today’s document helps consolidate various requirements and focuses on new issues, including cutting-edge innovative financial technologies," he added. According to Voronkov, the UN Office of Counter-Terrorism is ready to actively assist members states in implementing the resolution. The document says in particular that "all States shall, in a manner consistent with their obligations under international law… ensure that their domestic laws and regulations establish serious criminal offenses sufficient to provide the ability to prosecute and to penalize in a manner duly reflecting the seriousness of the offense the willful provision or collection of funds, financial assets or economic resources or financial or other related services, directly or indirectly, with the intention that the funds should be used, or in the knowledge that they are to be used for the benefit of terrorist organizations or individual terrorists for any purpose." The document also "urges all States to participate actively in implementing and updating the ISIL (Daesh) and Al-Qaida Sanctions List and to consider including, when submitting new listing requests, individuals and entities involved in the financing of terrorism." The resolution describes cooperation between countries as crucial. The UN Security Council reaffirmed that "all States shall afford one another the greatest measure of assistance in connection with criminal investigations or criminal proceedings relating to the financing or support of terrorist acts." In addition, the Council urged "all States to assess specifically their terrorist financing risk and to identify economic sectors most vulnerable to terrorist financing, including but not limited to non-financial services, such as, inter alia, the construction, commodities and pharmaceutical sectors. ".